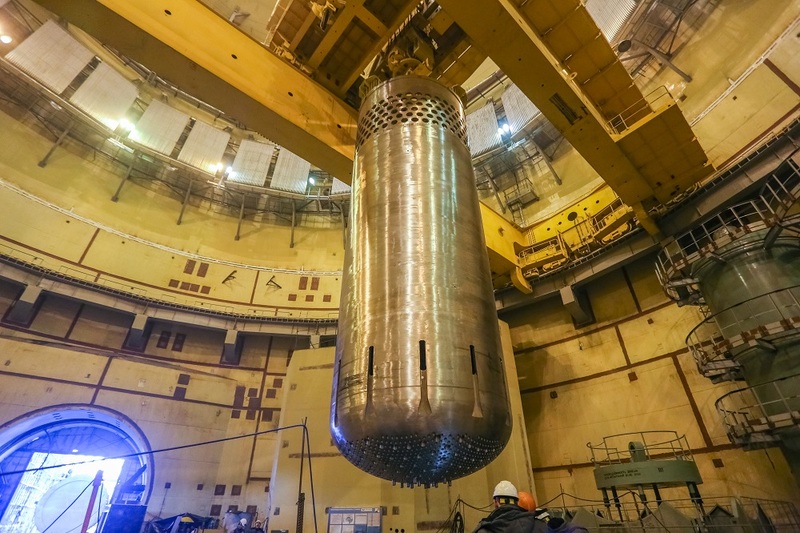 This is the replacement plant for the operating Kursk NPP power units to be decommissioned. Elevationof the current works is +53.900. 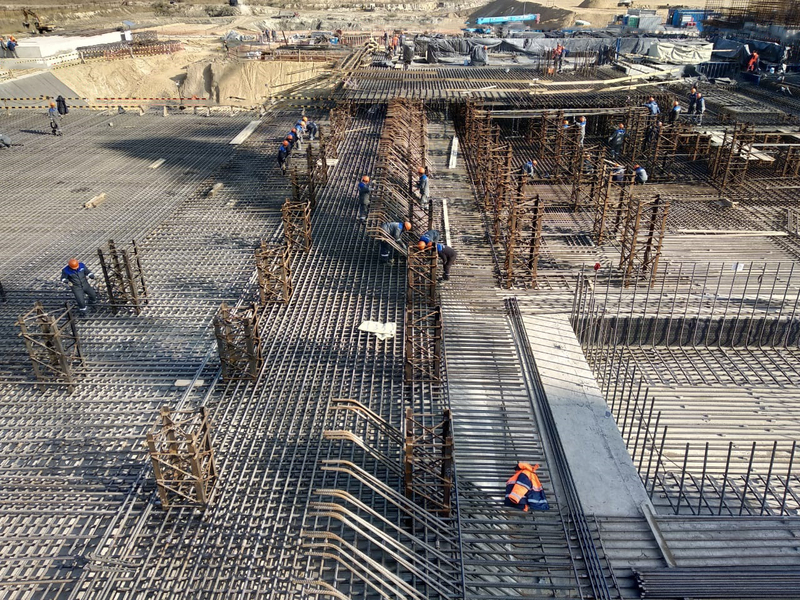 The specialists shall perform rebar fitting, installation of the tendon sheathing for the prestressed reinforcement, formworks assembly, and concreting itself. 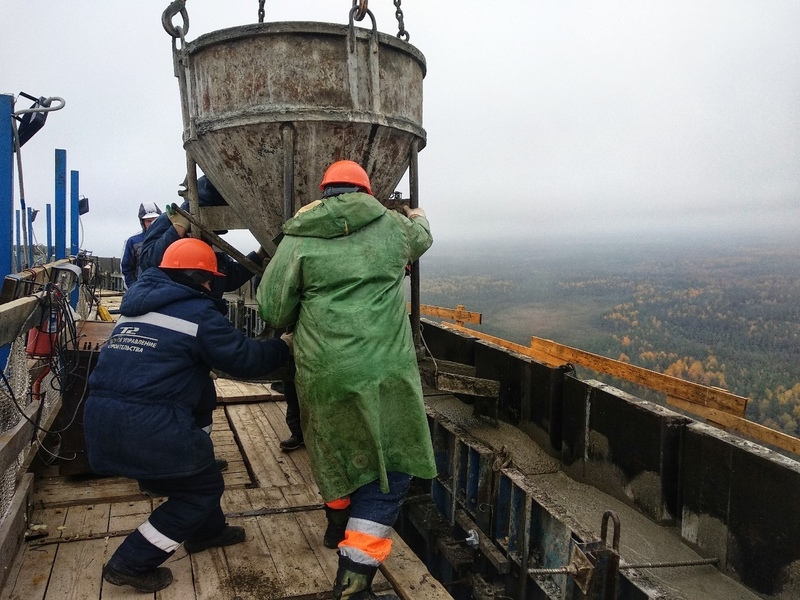 Concrete is supplied to site from the UPP batching plant. This is a high strength concrete of the B60 class. It is supplied to the dome under pressure using stationary pumps and concreting booms. 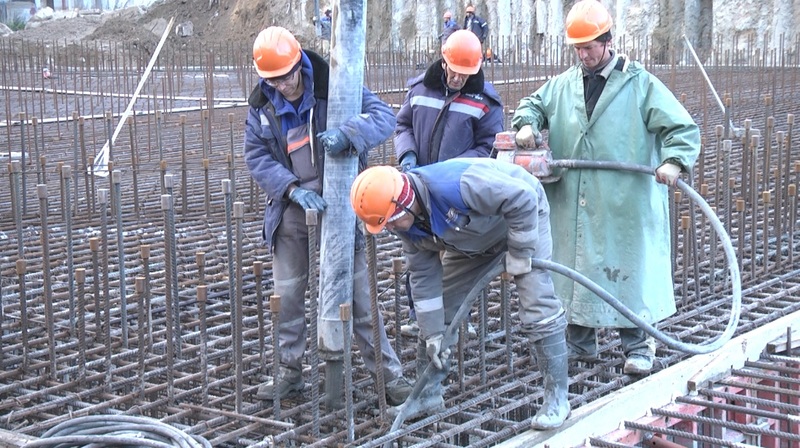 Concreting booms operators, concrete workers, and assistants are involved into the process. The total of approximately 30 persons. 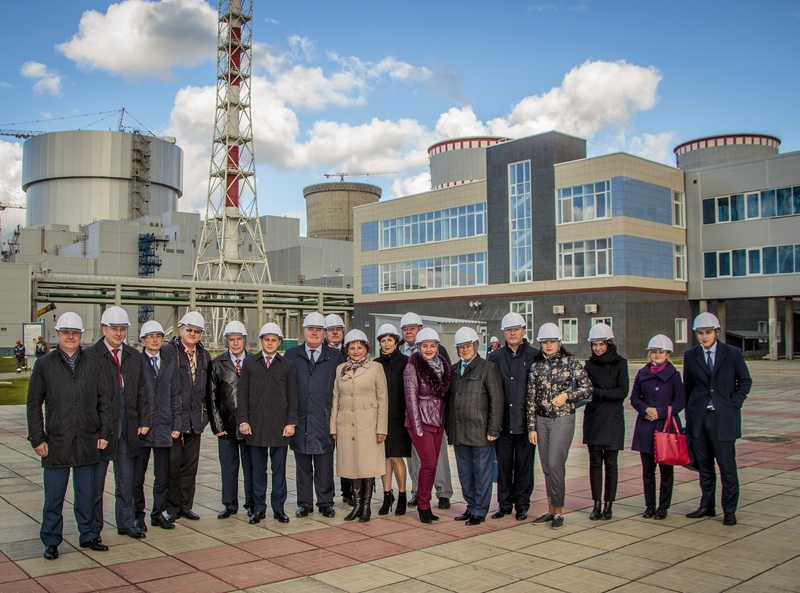 Many of them also performed construction of the first power unit for LNPP-2. The builders are preparing for assembly of the outer containment structures. Metal components are already delivered to the site. Each of them weighs around 1300 kilos. The dimensions are 7.5 х 5 meters. Tower cranes will be used to install them to the dome. The specialists are currently preparing supporting structures. Then the reinforcement and concreting of the outer containment will commence. 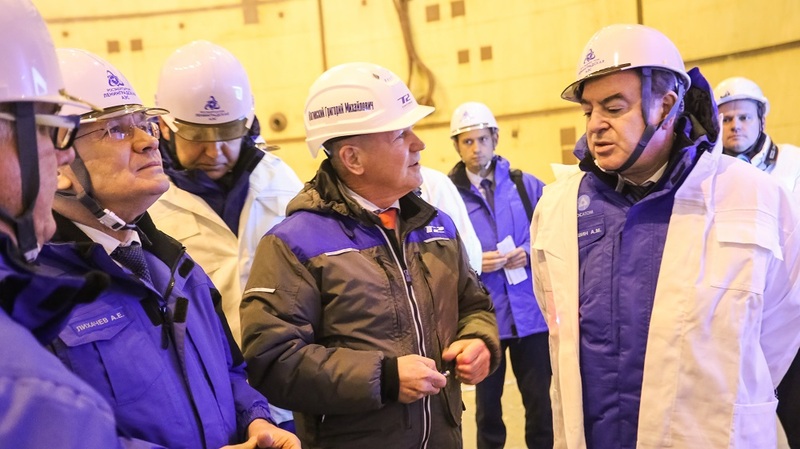 The Holding is the main contractor for the construction of the Hanhikivi-1 NPP in Finland. 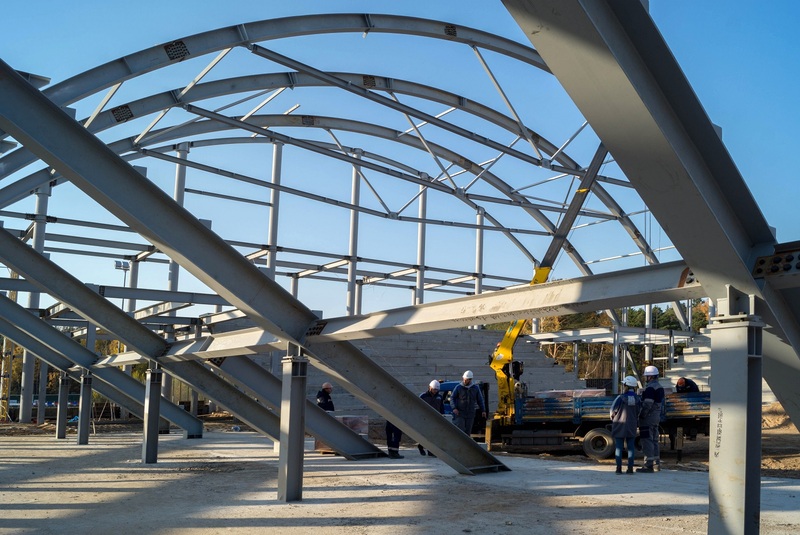 By the end of the year, it is planned to complete the walls, assemble flooring and roof, and move on to utility networks installation and internal finishing works. 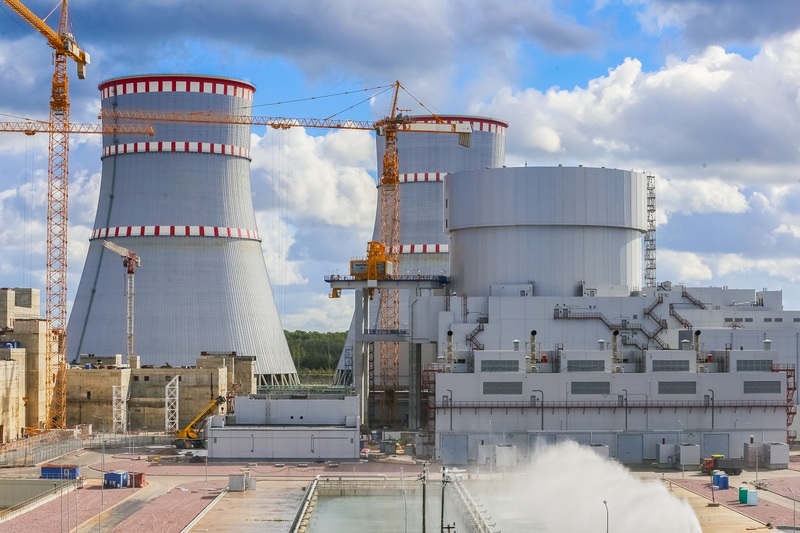 The acceptance committee headed by the JSC Concern Rosenergoatom General Director Andrey Petrov has earlier signed the acceptance certificate for the completed LNPP-2 first power unit. Titan-2 was awarded with the Rosatom state corporation diploma at the all-Russian student convention at Rostov-on-Don. First concrete is poured into the foundation slabs of the facility to arrange auxiliary 460 building vessels. JSC Concern Titan-2 SMU-2 specialists poured the last tankofconcrete into the 107th tier of the tower. The meeting is held in Mersin, Turkey. 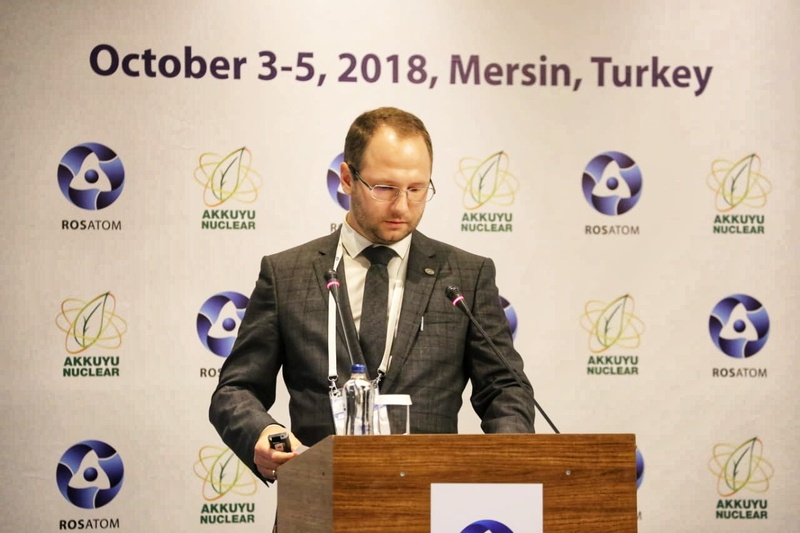 The seminar was arranged by “Rosatom” state corporation and “Akkuyu Nuclear” design company. 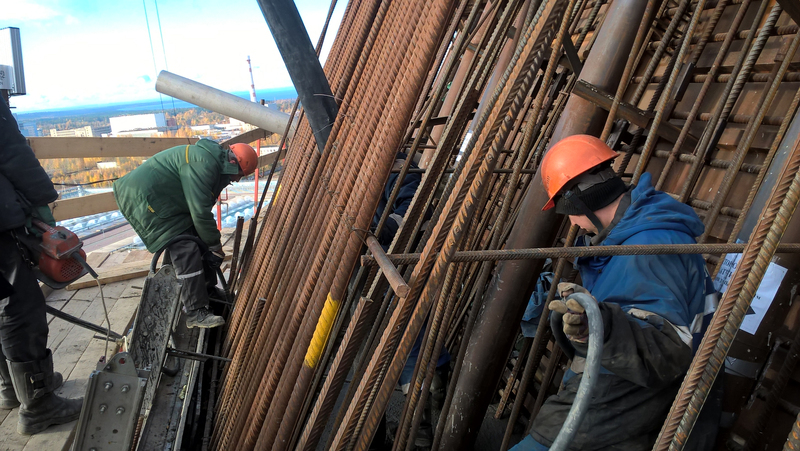 Construction and installation, electrical installation, commissioning, finishing - all the works were performed by the subsidiaries of the Holding Titan-2.